02 Juin Go to Montserrat because it’s so easy now! 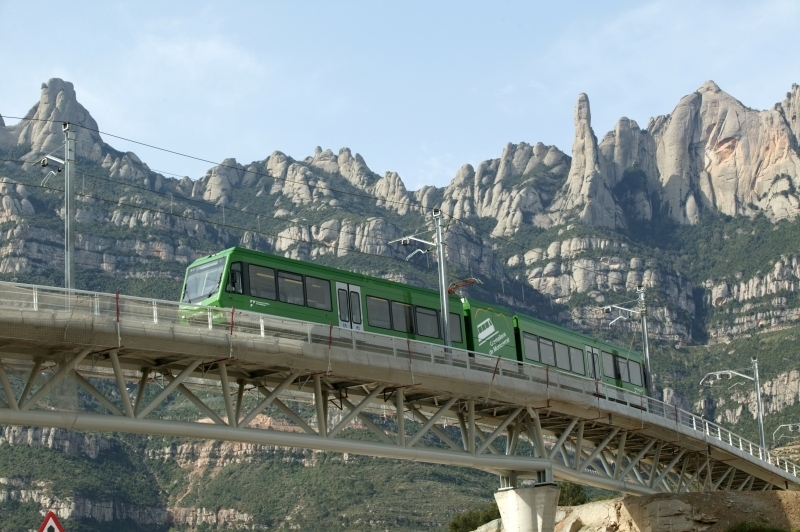 Montserrat Express is already opened to connect Montserrat with Barcelona in a direct train! This Monday the FGC (Ferrocarrils de la Generalitat Catalana) train has inaugurated its first route, replacing the slower train that was operated this line earlier. You don’t know what is Montserrat? We can’t believe it, discover more information about Montserrat in our post. Before now, the old train was doing a lot of stops and it usually took more than one hour to arrive to Montserrat. Now it’s easy to get there, Montserrat Express departs every day from Plaça Espanya, where you can also buy the ticket and take the train immediately. The Montserrat Express customers are receiving a welcome pack with mp3 audio guide, a travel guide, some discount tickets and “carquinyolis” (a typical sweet made in Montserrat) for 53.30€.